I have been dying to share this post with y'all and I am finally getting around to it! About a month ago I purchased the Vichy Mineral 89 skin booster from Ulta. 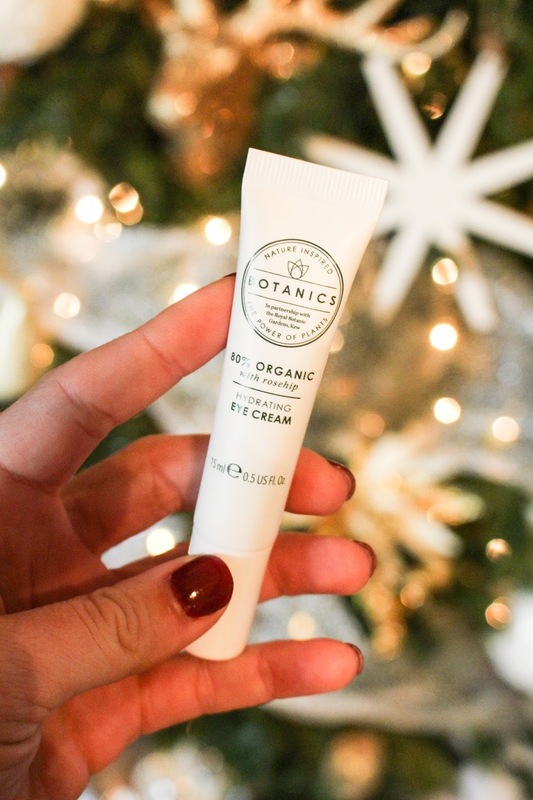 My skin was starting to get dry and itchy from the cooler temps and I realized the face creme I had been loving the year before just wasn't really cutting it for me anymore. 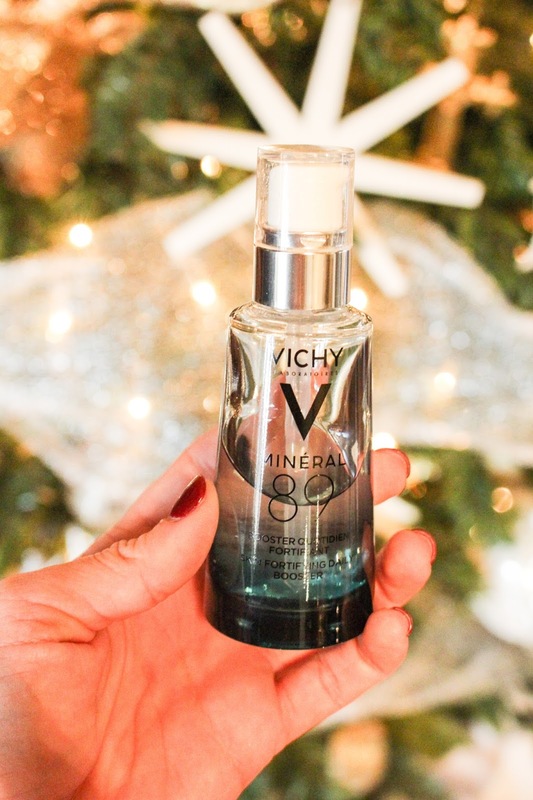 I had seen some other bloggers talk about the Vichy Mineral 89 and say how awesome it was so I decided to give it a try! 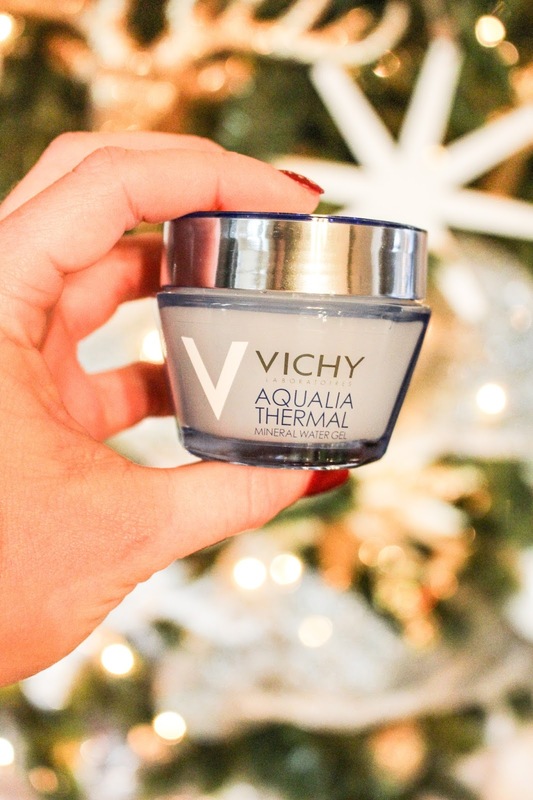 The very next morning after the first night I had applied the Mineral 89 & the Vichy Aqualia Thermal Mineral Water Gel I saw a big difference! These products are different from any other I have used before. My face was plump and so so soft! It has prevented my skin from drying out and gives my skin an even tone! I'm very pleased with the way it has worked for me! I have been using the Mineral 89 & the Aquaria Thermal Rich Cream every night before I go to bed, and then in the morning I will apply the Mineral 89 before I put on my makeup for the day. Step 1: About 2 to 3 nights a week I will use my Clarisonic Mia 1 with this cleanser to wash my face and help scrub off dead skin, or deep clean if I sweat a lot at the gym that day. 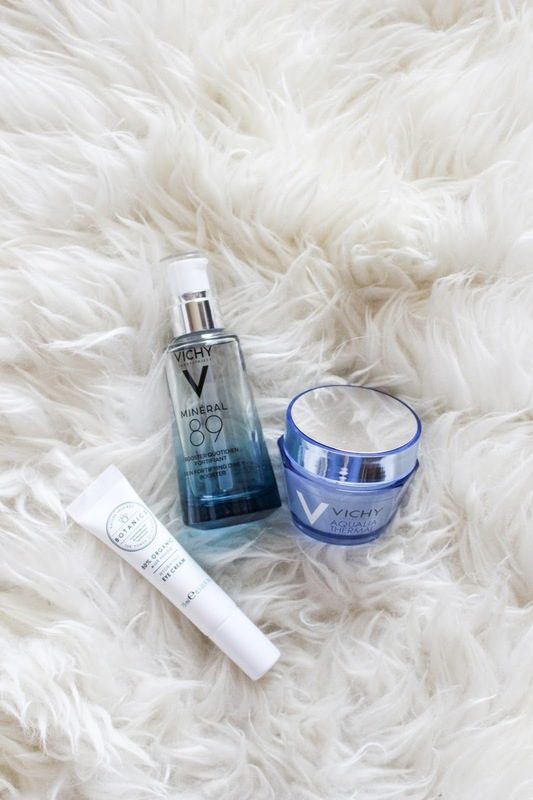 The other days I normally just wash off my makeup in the shower and then apply the Vichy Mineral 89 when I am ready. I apply 2 pumps to my face and if there is any excess I will put it on my neck. I will let that soak in for a minute or two. Step 2: While I let the Mineral 89 soak in I will apply this eye cream. I have been really linking it! I am in my early 20's but its never too early to start taking good care of your skin and keeping it moisturized to help prevent aging! Step 3: Last but certainly not least I will apply the Aqualia Thermal Mineral Water Gel! It soaks into my skin really fast and doesn't leave it greasy feeling like other night creams can.